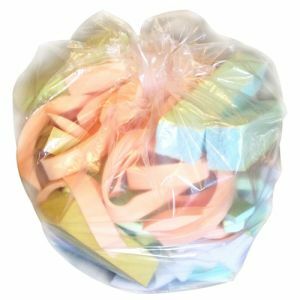 Our crumbed foam and shredded foam filling material as well as our foam off cuts are supplied for applications where you want the support of foam but the soft aesthetic of loose fillings like feather or fibre. 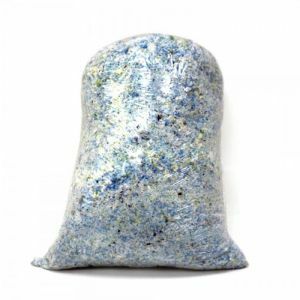 Foam crumb is often used for filling bean bags, scatters cushions, toy filling, pet beds, crash mats, sensory mats, cushion filling and many more applications. Our product is often used by preschools, childcare centres, occupational therapists, disability sector and autism service providers to fill mats or bags to assist with sensory or therapeutic exercises. These crumbed foam and foam off cuts are all 100% hygienic as they are produced from high quality unused Australian made foam. The product is made from a mixture of foam types, colours and densities to give a well rounded feel and support. We even offer bulk discounts for crumbed foam or shredded foam. This product is available to pick up from our Sydney showroom and warehouse or delivered Australia wide.